Texas Comptroller Glenn Hegar has revised the Certification Revenue Estimate (CRE). In a July 11 letter to state leadership, Hegar said the state will have $110.17 billion in General Revenue-Related (GR-R) funds available for general purpose spending for the 2018-19 biennium, resulting in a projected fiscal 2019 ending balance of $2.67 billion, an increase from the $94 million ending balance projected in the October 2017 CRE. The ending balance does not account for any 2018-19 supplemental appropriations the Legislature may make. For more information, please visit the Comptroller’s website at http://bit.ly/2nqDnXB. Every so often, County Progress asks our distinguished Judges and Commissioners to allow us a glimpse into their public lives, giving us a fresh appreciation for the myriad of roles and responsibilities they shoulder every day. Our thanks to Uvalde County Judge William R. Mitchell for taking the time to visit with us. My family moved to Uvalde County at the beginning of World War II because my dad, H.J. Mitchell, was assigned as a flight instructor at Garner Air Field in Uvalde by the Army Air Corps. After the war ended and the flight training field was closed, my parents, like so many other airmen that were stationed in Uvalde, chose to stay here. By the time the war concluded, my dad’s parents had moved from the angora ranch country of Edwards County and also settled in Uvalde County. My family owned and operated a dry cleaners, an antique shop, and the Gulf Oil Distributorship, and ranched in both Uvalde and Real counties. My mother, Hazel Powers, was from neighboring Real County where her dad, Ross Powers, served as the Real County district/county clerk as well as the Real County attorney. It has been my personal pleasure to have been an elected office holder in this community for the past 44 years. I first served eight years as a member of the Uvalde City Council, then four years as Uvalde County justice of the peace, Precinct 1. I have served as Uvalde County Judge for the past 32 years. I am seeking re-election and will be on the November ballot. After graduating from Uvalde High School in 1966, I attended Southwest Texas Junior College in Uvalde before transferring to East Texas State University. After two years at Commerce, I transferred to Southwest Texas State University where I earned a degree in journalism. I am a veteran of the U.S. Army having served during the Vietnam era. My military service included assignments to an infantry company, an engineering company, and a military police company. After discharging from the military, I returned to Uvalde and joined my family in business and in ranching. I also became active in real estate investments. seasons, I have served as the public address announcer for all home football games played by the Uvalde Coyotes. Since the 1800s, Uvalde County has been known as the honey capital of the world, and Uvalde Honey was awarded the grand prize at the 1900 Paris World’s Fair. My wife, Katie, is the current owner of Uvalde Honey, so when I’m not performing County Judge duties, I help her with packaging and delivery of honey. It is difficult for me to say there is such a thing as a “typical day.” Perhaps that is one of the reasons this job is so interesting and rewarding. In this position, you can literally find yourself visiting with the president of the United States on one day, and the next day find yourself pulling a stranded motorist from a flooded vehicle. So, when I get home in the evening and Katie asks about my day, it’s often a long and complex answer. I usually arrive at the office about 6:30 each morning. It’s not unusual for constituents to be waiting to discuss their particular needs or wants. I have always operated with an open-door policy, ready to listen and respond to citizens and their concerns. In fact, I believe we can often serve our constituents best by listening more and talking less. We work closely with all other government entities to better serve each and every citizen. The county will join with cities and school districts stressing to the taxpayers that working together makes us all stronger and better. While we all have meetings and functions to attend daily, it is how we approach those meetings that makes them successful. Many times, the tone of a meeting can affect the meeting’s outcome. Those attending a meeting will frequently follow the leadership of the County Judge when it comes to behavior. Because of our rural location, I spend many hours driving. With the improvement of technology, we are capable of conducting a tremendous amount of business while out of the office. I do believe current communication devices have been a blessing when it comes to conducting county business. Unfunded mandates as they apply to the county budget process has constantly been the biggest challenge for Uvalde County. This is perhaps the one issue that all 254 Texas County Judges can agree upon. It is an issue now, and it was an issue when I first took office in 1987. We have continued to stress to our legislators that unfunded mandates place an unfair burden on county government. Removal of unfunded mandates would make my job as the county budget officer so much easier. Uvalde County has been fortunate in being able to consistently provide for our constituents. Much of that success can be attributed to the excellent group of elected officials and staff members who we have in our organization. Our support staff continues to work hard and recognize the importance of serving the public. We are a strong advocate of working together. We make sure that local issues are totally understood among ourselves. The county coordinates with other entities such as the city, school districts, local colleges, the hospital authority, and the health clinic on major issues. Our collaboration allows us to make a united presentation to our elected officials in Austin and in Washington. During the legislative session, our community is represented well as we walk the halls advocating for the good of our citizens. The roles and responsibilities of a Texas constitutional County Judge have changed during the past 30 years. What we were expected to do has been compounded. It is almost like the legislature says, “if we can’t find someone else to do it, let’s give the responsibility to the County Judge.” And guess what…we can do it. We have seen more expectation on our emergency management operations, on our economic development efforts, and on our conservation efforts. The expectations are great. The challenges are real. As our state and our county continue to change and grow, our expectations will continue to change and grow. We welcome the growth, and we welcome the change in expectations. That’s why we are here, willing and able to serve and to provide. County business is serious business. We are one of the largest businesses in the county, and we have one of the largest budgets. We know who we work for, and we recognize each and every one of them has needs and wants. It is our goal to continue to serve each citizen in the best way we can. That’s the easiest question of all. The answer is simply working for the citizens of Uvalde County. Each morning when I place the county lapel pin in my suit jacket, I realize the honor and responsibility that has been given to me by God and by the citizens of Uvalde County. I cannot imagine living in any other place. Uvalde County is my home. It is where I want to be, and it is where I feel I can better serve God and my country. My favorite part of being County Judge is knowing that I have helped others in some way. 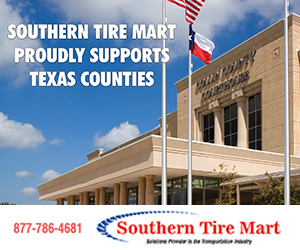 The days are long and at times challenging, but when a dad stops you in the grocery store and tells you “thanks for saving my son’s life,” all of a sudden you realize why you are where you are in life and you realize why you are a County Judge. It is important for all of us to remember who we work for and who we represent. Kindness and compassion go a long way. This is an important job, and we represent all of the people of our county – even those who may not have voted for us. Remember, strong leaders often find themselves listening more and talking less. KEY CONCEPT: How do you amend the Texas Constitution? How do you amend the Texas Constitution? The current Texas Constitution was adopted in 1876, and since that time Texas voters have approved 474 amendments. When Texans go to the polls on Nov. 5, 2013, they will consider nine proposed constitutional amendments (see page 17). Amendments to the Texas Constitution come in the form of joint resolutions instead of bills. These joint resolutions originate in either the House of Representatives or the Senate. 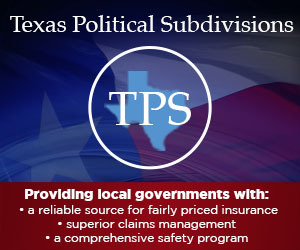 Amendments may be proposed in regular sessions of the Texas Legislature or in special sessions. The amendments require a vote of two-thirds of the entire membership in each house for adoption. Joint resolutions are not sent to the governor for approval, but are filed directly with the secretary of state. A joint resolution proposing an amendment to the Texas Constitution does not become effective until it is approved by Texas voters in a general election. The Legislature may call an election for consideration of proposed constitutional amendments on any date, as long as election authorities have enough time to provide notice to the voters and print the ballots. Most proposals have been submitted at the November general election held in odd-numbered years. The secretary of state conducts a random drawing to assign each proposition a ballot number if more than one proposition is being considered. Article 17, Sec. 1 of the Texas Constitution requires that a brief explanatory statement of the nature of each proposed amendment, along with the ballot wording for each, be published twice in each newspaper in the state that prints official notices. The first notice must be published 50 to 60 days before the election. The second notice must be published on the same day of the following week. Also, the secretary of state must send a complete copy of each amendment to each county clerk, who must post it in the courthouse at least 30 days before the election. The secretary of state prepares the explanatory statement, which must be approved by the attorney general, and arranges for the required newspaper publication. If voters reject an amendment proposal, the Legislature may resubmit the amendment proposal. Some constitutional amendments enact themselves and do not require additional legislation. Other amendments grant discretionary authority to the Legislature to enact legislation in a particular area or within certain guidelines. These amendments require “enabling” legislation to fill in the details of how the amendment would operate. The Legislature often adopts enabling legislation in advance, making the effective date of the legislation contingent on voter approval of a particular amendment. If voters reject the amendment, the legislation dependent on the constitutional change does not take effect.